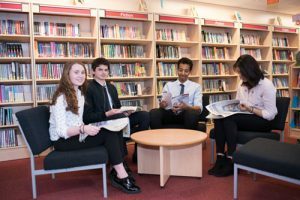 Myton is proud to have an excellent Learning Resource Centre situated at the heart of the school and housing around 25,000 items catalogued on the library system. There is seating for up to 75 students, and teaching staff are welcome to book the LRC for class sessions on research, reading, or information handling skills at any time. 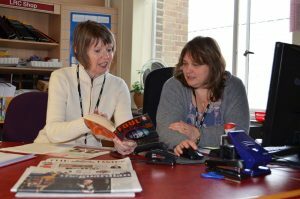 We have a team of student librarians who are trained in resource organisation, customer service and the day-to-day administration of the library system. Everyone is welcome to use the LRC at any time. 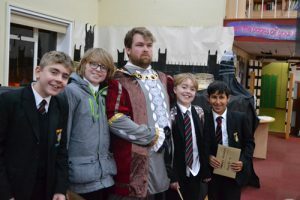 It is an optional venue for Sixth Form private study and students are welcome to come for authorised visits during lesson time, individually or in groups. The LRC is open after school when pupils can enjoy using the LRC facilities, or simply relax! 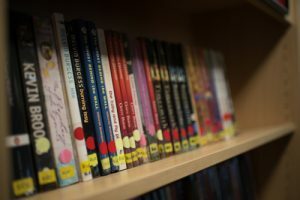 We’ve put together a number of reading lists, arranged by subject to help you with your choice. Can I log in to my library account from home? Yes, you can access your library account even when you are out of school. If you don’t know your username and password, come along to the LRC and we will be able to provide them. 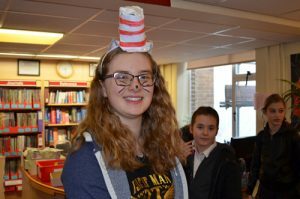 The LRC is run by Mrs Lucy Thompson (email: thompson.l@myton.co.uk) and Mrs Claire Drage (email: drage.c@myton.co.uk). Email address for suggestions and enquiries lrc@myton.co.uk.